From the statehouse at age 22 to agriculture commissioner and now a campaign for governor, Putnam Groves has been central to Putnam's story. It is also a lineage he has relied on for political connections and it has brought him considerable wealth. 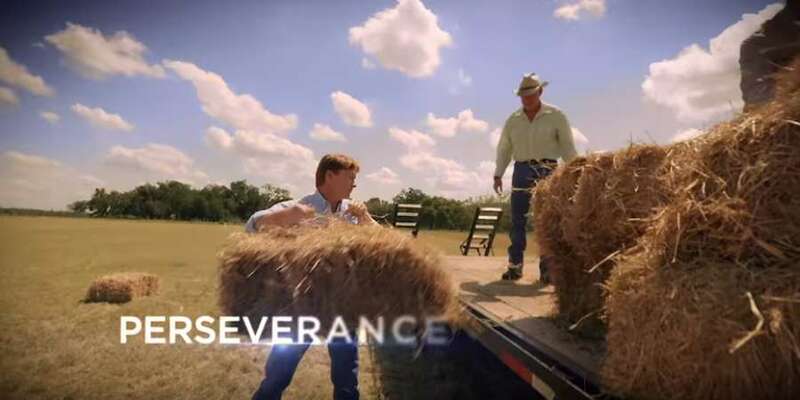 In the first ad of his campaign for governor, Agriculture Commissioner Adam Putnam walked through a horse stable and tossed a bale onto a flatbed. "I know what it's like to sweat for your paycheck," he said. Putnam's biography is rooted in his family's citrus grove. He credits it for instilling values like hard work and the importance of faith. It is also a lineage he has relied on for political connections and it has brought him considerable wealth. With Putnam running for governor, the farming community that bankrolled his first election victory 22 years ago remains deeply invested in him. His primary opponent, Rep. Ron DeSantis, has singled out donations from sugar farms, an industry often blamed for the state's ongoing blue-green algae environmental crisis, and called Putnam an "errand boy" for Big Sugar. But Putnam, 44, has broad support across the agriculture industry, including farms he has overseen for the past eight years as the state's top crop cop. Their donations are among the $38 million he has raised so far. Putnam has always spun his ties to the industry as a positive: Who better to run an agriculture agency than the heir to one of Florida's pioneering farmers? A "return to my roots," he told the then-St. Petersburg Times when he first campaigned for the job in 2010. "It's a long, horrible history of the power that the growers and the pesticide industry have in that office," said Jeannie Economos, the Pesticide Safety and Environmental Health Project Coordinator at the Farmworker Association of Florida. His grandson, Adam Putnam, was a state 4-H president as a high school senior from Bartow and led the University of Florida's agriculture fraternity, Alpha Gamma Rho. When he graduated, he chose politics over the family business. "The ability to look at a tree and know what it needs, to know when it's going to bud — a gift my father and brother have — it's just not a gift I had," Putnam told the Tampa Tribune in 2006. "I'm kind of a social bug." "I'm a farmer. I'm a rancher," he said in Riverview in May. "If I weren't in politics, that's what I'd be doing full time." Putnam Groves lists Adam Putnam's siblings and other family members on business registration documents filed with the state, never including him. 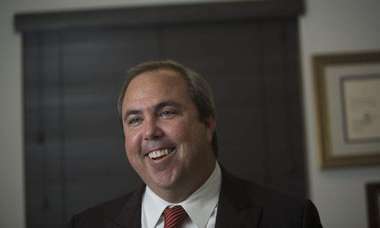 At times, Putnam has distanced himself from the company he now touts as his small business experience. "I can't speak to the details of the transaction because I deliberately stayed away," Putnam told the newspaper in 2012. He was quickly rising through the ranks of the Republican Congressional Caucus at the time of the deal. His Putnam Groves salary dropped to a combined $35,000 over the past two years. His campaign wouldn't explain the sharp decline. 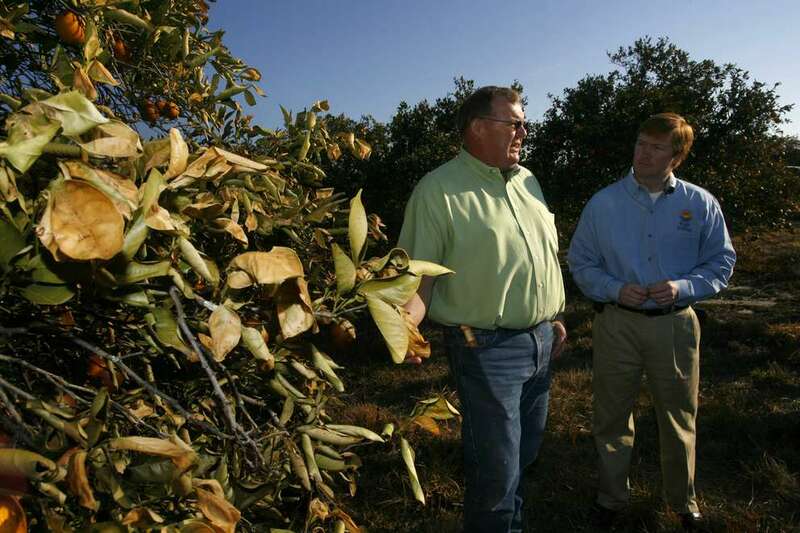 Groves around the state are struggling from a devastating disease known as citrus greening. 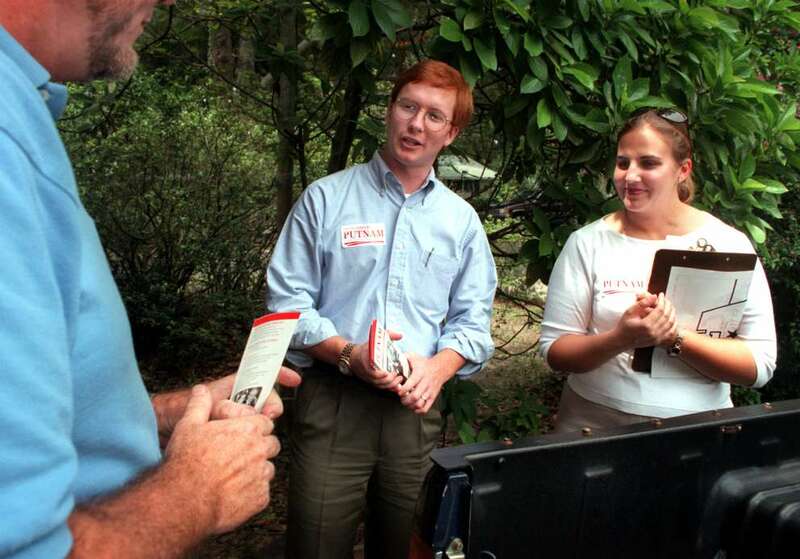 Adam Putnam and his wife Melissa Putnam campaign in 2000 for Congress. Adam Putnam, an earnest 26-year-old state legislator at the time, was running to be the youngest member of Congress. When Putnam ran for the Florida House of Representatives in 1996, the agriculture community rallied around the 22-year-old. Their support helped him outraise his Democratic opponent 5-to-1 and win a district never held by a Republican. Putnam counted Duda Farms and Ben Hill Griffin Inc., two giants of Florida's farming industry, among his early supporters. Over the next two decades, Putnam climbed the political ladder, winning assignments of great importance to the agriculture community. 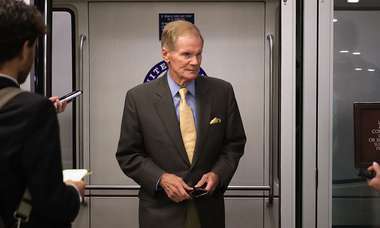 He was named chair of the Florida House Agriculture Committee in 1998, and later served on the committee's equivalent in the U.S. House of Representatives, where he gained national notoriety as Congress' youngest member. When President George W. Bush was rallying support for a controversial trade bill in 2002, he won Putnam's vote by putting the Bartow Republican in charge of a Florida citrus industry task force to advise U.S. trade negotiators. By the time Putnam decided to run for agriculture commissioner in 2010, there was little doubt whom the farming community would get behind. 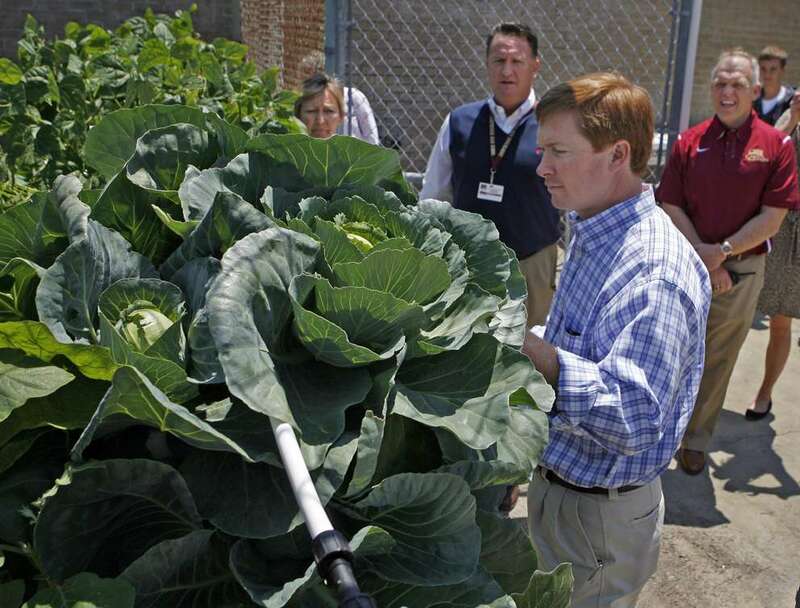 Few, if any, politicians have received more financial support from Florida's agriculture industry than Putnam. Scott Maddox, Putnam's Democratic opponent that year, once asked: "How is he going to be a watchdog on behalf of the consumer when he takes millions from those he is supposed to be watching?" 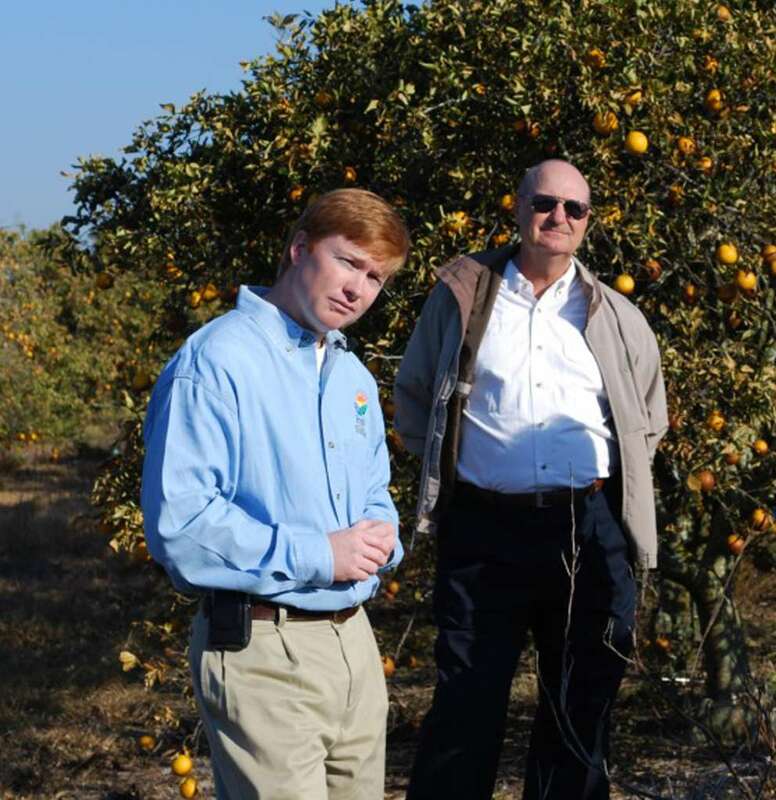 Then U.S. Rep. Adam Putnam, R-Bartow, pictured here while running for Florida commissioner of agriculture, checks on freeze damage at a Hillsborough County orange grove earlier this year. With him is Michael W. Sparks, CEO of Florida Citrus Mutual, a grower’s cooperative. The Florida Agriculture Hall of Fame is an exclusive club of the state's most influential farmers. It includes visionaries and titans of industry. Dudley Putnam is in it. So is Ben Hill Griffin. Six days later, there was an accident at Duda's Belle Glade farm. The plane was hired by Duda Fresh Farm Foods to spray pesticides on one of its radish fields. Just before the pilot took off, someone working for Duda moved the farm workers within dangerous proximity to the plane's path. The Duda family and their business have become one of the largest donors to Putnam's campaign for governor, contributing $187,000 since the pesticide accident. Duda Farm spokeswoman Julie Werner said the company has been "a consistent and longtime supporter of Adam Putnam since he first ran for the State House of Representatives" and the contribution reflected that. "He understands the issues that are important to agriculture and we have supported him in all of his campaigns," Werner said. Farm worker advocates said the Duda accident was one of the worst pesticide exposure cases in more than a decade. In its own investigation, the Florida Department of Health said it was possible more workers were harmed but they were afraid to step forward. Putnam's office declined to explain why the pilot was fined but not the company. His campaign wouldn't make Putnam available for an interview. Asked if the donations could undermine public confidence in the investigation, campaign spokeswoman Meredith Beatrice said, "Absolutely not." There are at least two other instances of farms donating to Putnam's 2014 re-election campaign for agriculture commissioner while his department investigated illegal pesticide use, according to a Tampa Bay Times review of campaign finance reports, state and federal records and published news reports. In 2013, Putnam's agency investigated allegations that pesticide exposure at Costa Farms caused a worker to get sick. The worker alleged the company didn't provide pesticide safety training, nor did it have supplies for workers to wash off chemicals. When she reported her illness, the farm supervisor wouldn't help her, she said. The Department found Costa violated a state law that requires workers to be trained in handling pesticides. It fined Costa $900, according to an April 30, 2014, letter to Costa Farms provided to the Times by the Farmworker Association of Florida. The association filed the complaint on behalf of the worker, who doesn't speak English. But on the more serious charge that Costa's lax pesticide protocols made an employee sick, the findings were inconclusive. The state determined the wind that day would have blown pesticides away from the field where she was working. "It's just totally ridiculous," said Economos, with the Farmworker Association. "And how do you fight that? The wind couldn't have blown in the other direction for a second?" Costa donated $5,500 to Putnam's agriculture commissioner re-election campaign during the investigation and another $6,000 after it concluded. The company and its leaders have since contributed $184,000 to his campaign for governor. Ben Hill Griffin IV, president of Ben Hill Griffin Inc., and the company donated $1,000 to Putnam's 2014 campaign, including a $500 check donated Aug. 20, 2013. A day later, Ben Hill Griffin Inc., received a letter from the Department of Agriculture that the company twice violated pesticide laws that year, the Palm Beach Post reported at the time, killing thousands of bees. It was the first time the department blamed a farm's pesticide use for killing bees. The beekeeper Randall Foti estimated the damage at more than $240,000, he told the newspaper. The fine? $1,500. State law allows a maximum fine of $10,000 for violating pesticide application laws. "Every four days, they were spraying seven or eight different types of chemicals," Foti said in 2013. "A $1,500 fine is not much of a deterrent." Department of Agriculture spokeswoman Jenn Meale said each case was "investigated fully by the department and handled in a manner consistent with how similar cases have been handled." 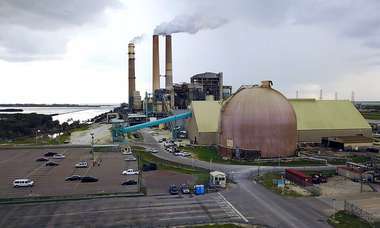 "We hold companies accountable," Meale said, "and enforce state law." "Our farms feed the nation," Putnam declares in his most recent campaign ad, one of the last to air before the Aug. 28 primary. Check out the Tampa Bay Times candidate guide for more on who is running for U.S. Senate, governor and county commission.